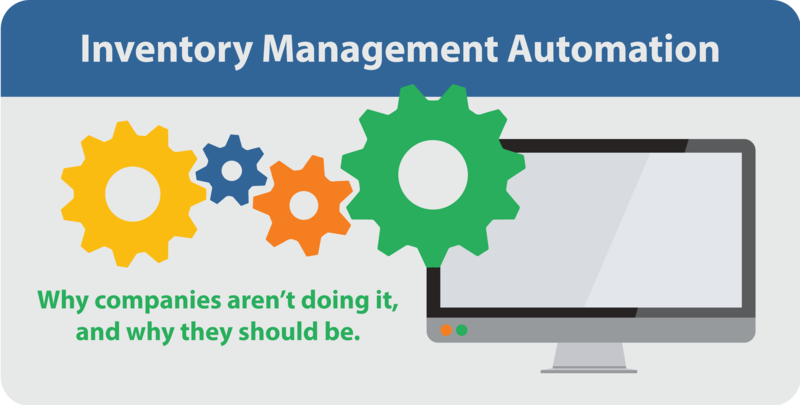 Inventory Management Automation is a growing trend. This is because it brings many benefits to firms. What exactly are these benefits? Well to name a few, it increases efficiency, improves accuracy, and is scalable to company growth. It has proven to be effective for many organizations ranging in size and complexity. Despite these benefits, many companies are still hesitant to adopt. They think it will take too long to implement, cost too much, or it just isn’t their priority right now. However, automation now can prepare you for a successful future. Are you thinking ahead? Many companies choose not to automate their inventory system because of the time cost. While this is a natural thought, it is not always the truth. If this is the cause of hesitation, using an external system provider can be a simple solution. This is because the provider has experience on their side. Not only will you be able to save time, but you will also have experienced professionals providing support. Or, you may view automation as too expensive. Although pricey solutions do exist, there are also affordable options that are smaller and less complex. You need to do your research and find a solution that fits each of your needs (price included). There are many software providers that offer automation at an affordable rate. Inventory management automation in your system can not only be affordable now, but it will also pay off in the long run. A lot of companies think “if it’s not broken, don’t fix it.” Especially when it comes to inventory management. If a current system is doing what it needs to, why should a company change it? Having an automated system makes it more adept to change. After all, you’re expecting to grow. So yes, the systems you have in place may be working for you now. But, it may not be best for company growth in the future. Can your system handle this growth? Automation is not only a way to deal with current issues; it is also a way to prepare for the future. This type of system can greatly increase a company’s efficiency. There are a lot of efforts that go into inventory management in terms of time and money. Manual entry and tracking can be time-consuming, complicated, and costly. Automation streamlines many of these tasks and completes them in a more efficient and effective manner. As a result, you can invest time into other business activities. Automation increases accuracy, as it reduces human error and guesswork. You can produce data in real-time and straight from the source through scanners and POS systems. Many systems can also generate orders based on data and pre-set metrics. Automation helps to ensure your info is always up-to-date and takes out the guesswork. With automation, your inventory practices can grow with your firm. As a company grows, the complexity of their inventory system will also increase. Having a scalable system will help ensure a smooth transition. Automating now can help mitigate any issues in the future that may arise. Why get to the problem later if you can stop it now? Inventory management automation can set you up for future success. There are a variety of options to make this solution possible for almost all organizations. They can help to improve efficiency, increase accuracy, and become more scalable. Automation is a proactive way to grow your business NOW. Interested in automating your inventory management system? Clear Spider has helped many companies with automatic fulfillment and replenishment. Request a demo to see how we can help you find the perfect solution for you. Prev:What Makes a Successful Supply Chain Leader?